One thing I’ve made a ritual in my life, is having my nails painted. I either paint them myself, wear wraps, or a friend of mine with a nail salon will give me a gel manicure. It’s the one thing I guarantee to do for myself, to make me feel less mumsy and add a touch of girlie glamour to my fingers. Little things – like having your nails painted, can make all the difference in making you feel good about yourself. Those little bottles are more than varnish – they’re like mini shots of confidence! 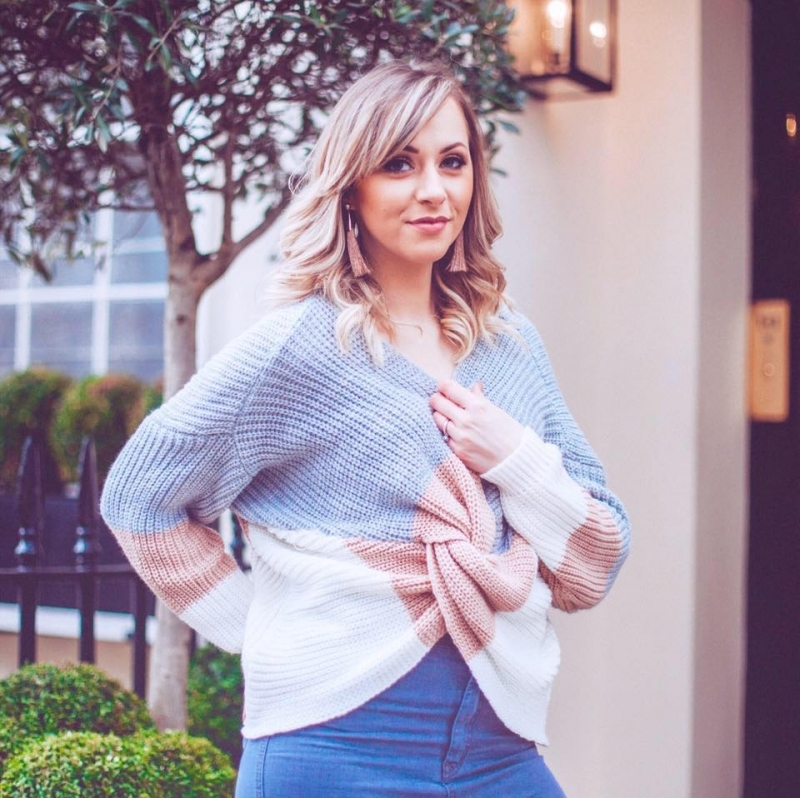 I used to always stick to the same colours, I never varied that too much – mostly because I whimped out, and not for any other reason! Nowadays though, if I like the colour, I’ll have it, and pah to whether it’s acceptable to wear neon pink to work! A gorgeous set of two different nail varnishes in a cute Christmas box. 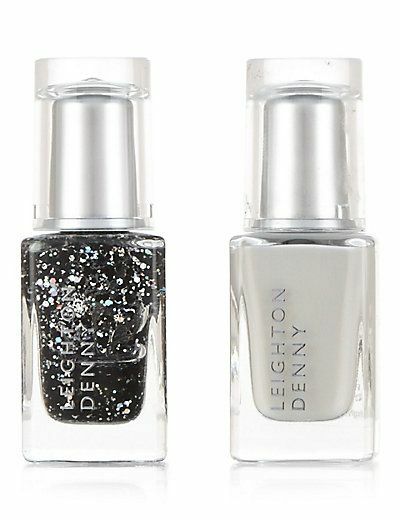 Both can be used alone to create festive colours – a pearly looking white, or a dark and mysterious looking sparkly varnish. I love this set because there’s the option of wearing them individually or, wearing the white as an undercoat, with the sparkle on top for an extra pop. There’s also the option to use the white as the all over colour and do the tips in the sparkle colour and make it fade away the closer to the cuticles it got. I love the sparkle dipped look, and this set would be perfect for that! 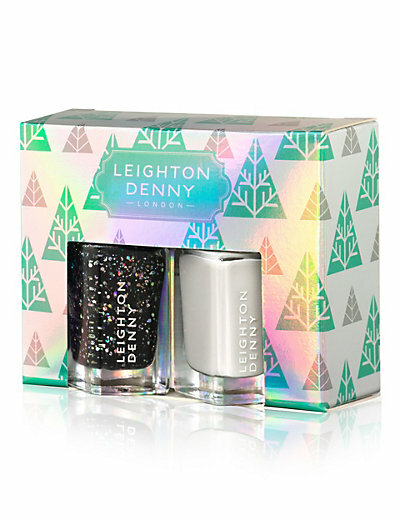 A limited edition nail polish for Christmas 2015, this gorgeous glittery varnish is supposed to be reminiscent of a childhood snow globe. 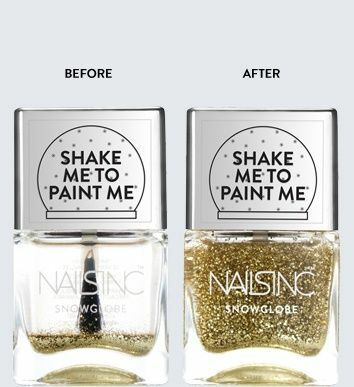 The idea being that the glitter settles at the bottom of the bottle, and is only ‘activated’ when shaken. A gorgeous light gold shimmer, if you shake the bottle a lot, you get a much higher concentration of glitter for a stronger colour when worn. And if you only shake the bottle slightly, the shade is a lot less prominent – depending on which look you’re going for. Anything glittery is a winner for me at this time of year, so this one being named after a snow globe means that I’m already a fan! 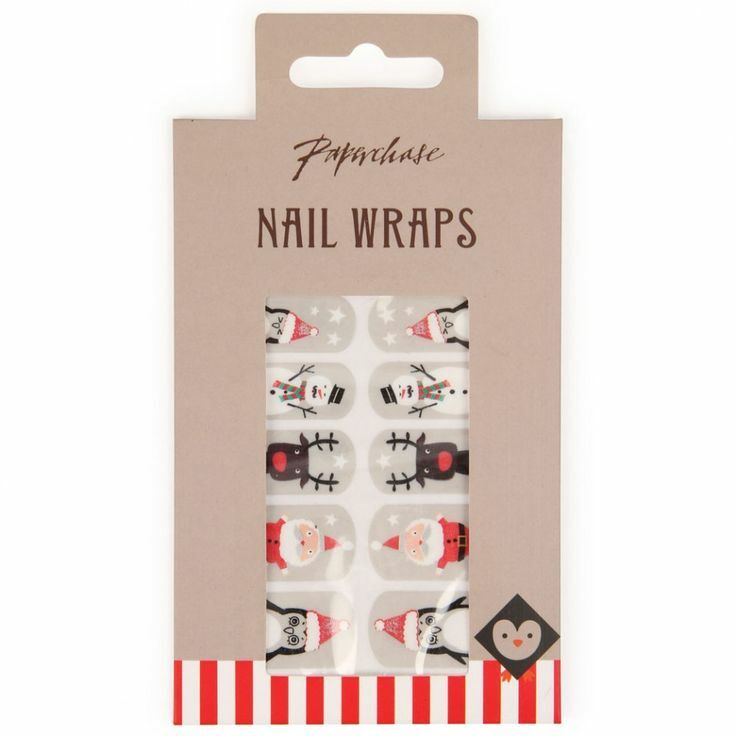 An absolute bargain at a fiver, not only are these super cute but they would make a fab stocking filler too. The set comes with ten wraps (so don’t accidentally rip one!) each showing cute festive characters. The background shade is a pale grey, which would look more like a pale white when worn. I think the idea is that the characters jump out to make the statement, more than the colour. 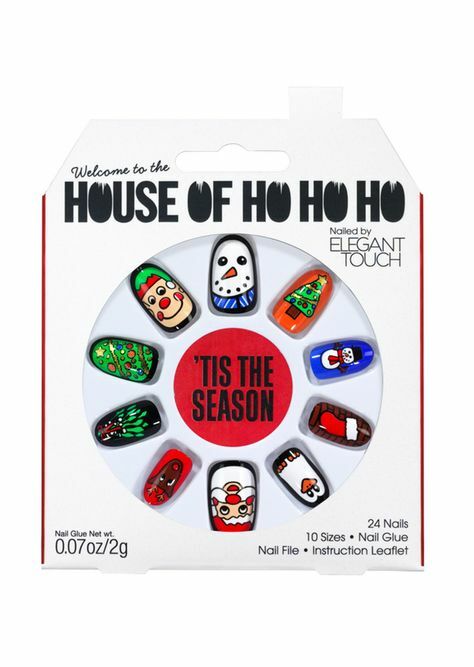 A bargain for festive nail fans. 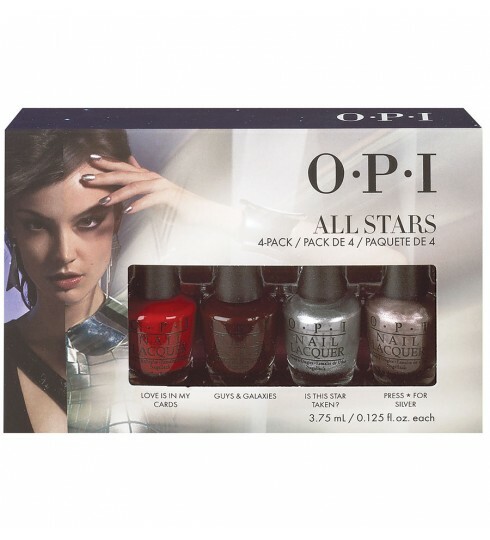 OPI’s christmas range for 2015 is called ‘Starlight’ and features 18 limited edition shades. 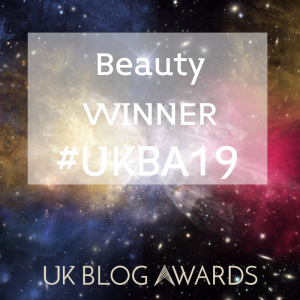 They have several sets available featuring different shades in different sizes, but my personal favourite is this four pack of mini size lacquers (3.75ml) called ‘All Stars’. It features a signature festive red shade with a deep plum red too, with two different metallic shades to complete the set. I feel like you could make some awesome ombre styles with this set and all four colours individually are wearable too. It’s not like some sets where you get a couple of decent shades and then the others are so horrific that even your nan wouldn’t wear them to bingo. No, this set is a doozie with four wearable shades = love. 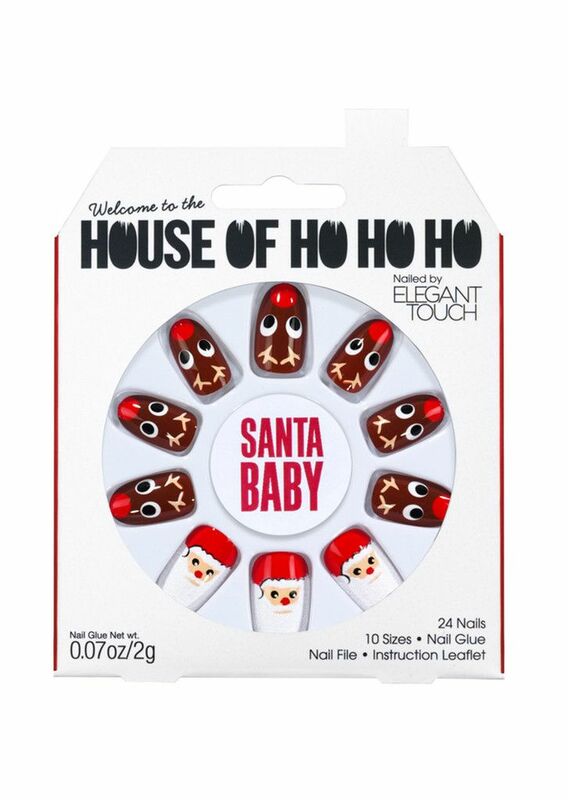 Henry Holland teamed up with Elegant Touch and now produces some of the most striking fake nails that you’ll ever see! So I was super excited when the Christmas designs started hitting the shops. My personal favourites are the ‘Tis The Season’ set which features bright and colourful designs on each nail, and the ‘Santa Baby’ set featuring Santa and his reindeer. Each pack has ten nails and includes nail glue to apply the nails. These are a personal favourite of mine and are absolutely sure to catch the attention of everyone and anyone this year! 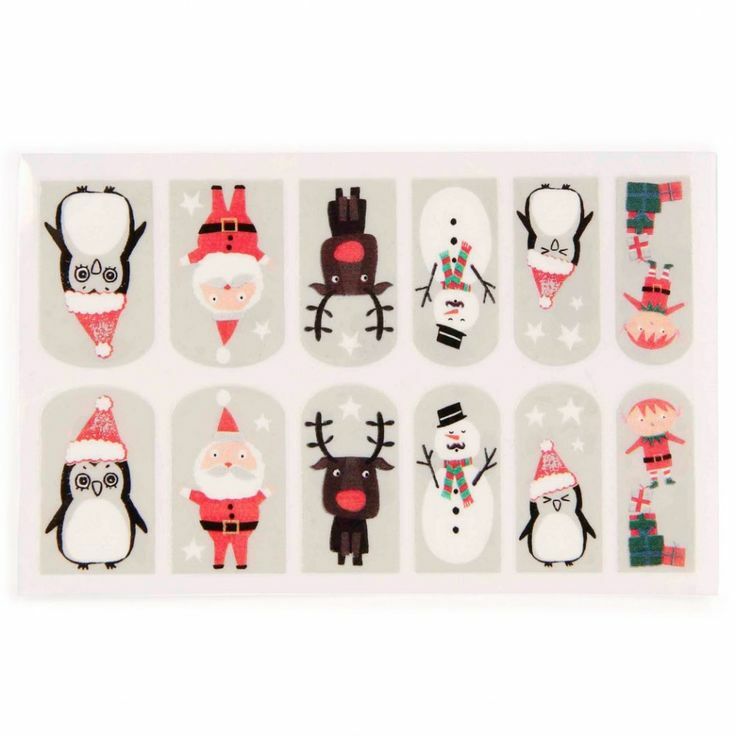 So those are my picks for Christmas nails this year, which is your favourite?